We offer a wide range of hotels near Rangers from cheap accommodation to up market luxury hotels. Search our database of hotels to find the lowest rate for your stay closest to Ibrox. This is a large but stunning 3 bedroom Villa that sleeps up to 9 adults. Features 2 bathrooms, fully fitted kitchen with an oven, microwave, fridge/freezer and washer/dryer. It boasts a 43-inch smart TV with Netflix, free WiFi and free parking. Ideal for large groups, families and business contractors. 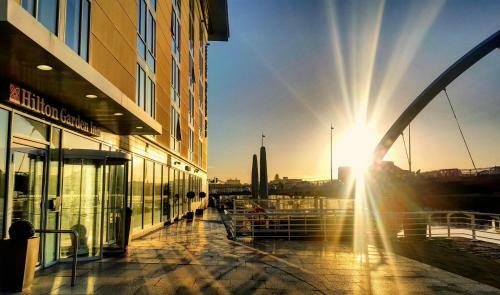 Only a few minutes’ walk from the SECC, 4-star Crown Plaza Glasgow overlooks the River Clyde. It has a leisure club with a pool and spa, as well as a maritime-inspired restaurant and bar. Near the SECC conference centre and Scottish Hydro Arena, Campanile Glasgow has modern rooms 0.5 miles from the M8 motorway. There is free parking and 2 rail stations close by. Set on the banks of the River Clyde, Hilton Garden Inn now offers rooms with views and free WiFi access. The Scottish Exhibition and Conference Centre is just 2 minutes’ walk away and Glasgow city centre is 10 minutes’ from this Hilton.